A regional version of the Olympic Channel has launched today in the United States, offering year-round programming of Olympic sports from around the world. 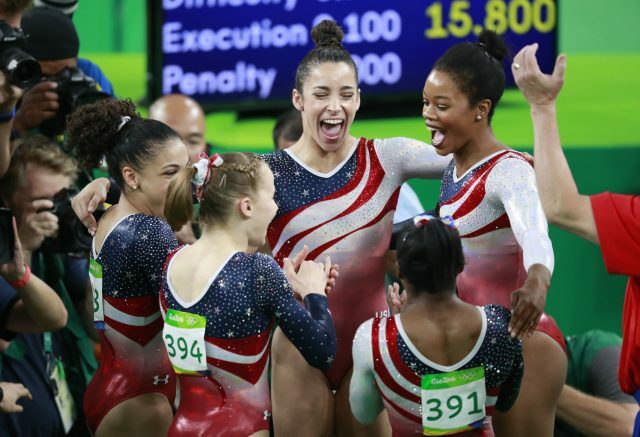 The “Olympic Channel: Home of Team USA” will highlight American athletes and teams. A partnership between the International Olympic Committee (IOC), the United States Olympic Committee (USOC) and NBCUniversal has led to the regional Channel’s development. The Channel is expected to reach more than 35 million homes and will include Olympic-themed original content produced by all three parties. This will include programs produced by the Olympic Channel, archival footage from both the IOC and NBC’s libraries of Olympic features and documentaries. It will also be available on streaming services, including DirecTV Now, Fubo, Hulu, Sony PlayStation Vue and YouTube TV. The Channel opened with a launch special, a 30-minute program hosted by NBC Sports’ Mike Tirico. It included an athlete round-table with Olympic medalists Shaun White, Kelly Clark and Gus Kenworthy. The round-table will be moderated by Olympic figure skating gold medalist Tara Lipinski. “The hurdle that I’m excited about that we can clear is that when you see people compete at the Olympics, win or lose, you get this lull and gap in time when you don’t know what they are up to or what they are doing,” said White, a two-time snowboard halfpipe gold medalist. A preview of the World Aquatics Championships and World Athletics Championships, which will supply significant programming during the network’s first few weeks, will also take place. In 2009 USOC attempted to create its own Olympic Network channel but was met with criticism and the plans were eventually shelved. The IOC and its then President Jacques Rogge were so outraged that it was claimed Chicago’s bid for the 2016 Olympic and Paralympic Games suffered as a result. The USOC had worked for nearly three years on constructing a network, which would have given access to about 10 million homes. USOC leaders claimed it would increase interest in the Olympic Movement and act as a complement to NBC.